Ever since the introduction of laws regulating the taking of game and fish, people who rely on wild game for subsistence along with those who fish for sport have unwittingly broken those laws. What started out to be a reasonable and noble attempt at conserving wildlife has morphed into a complex bureaucracy replete with complicated and unintelligible regulations. To make matters worse, stiff penalties and fines are levied by the Maine legislature for innocent mistakes made inside the boundaries of good faith and common sense but outside of Maine’s general fishing provisions and special rule. Stocking season is nearly complete! With snow on the ground, and ice skimming over many ponds and lake, some might say not a moment too soon. This season, our crew of over 30 hatchery staff from our eight state hatcheries have been extremely busy, stocking hundreds of locations with hundreds of thousands of fish. Brief Summary: The Department of Inland Fisheries and Wildlife is proposing regulation changes for the upcoming ice fishing and open water fishing seasons. These regulations are needed to provide for the effective conservation of Maine’s inland fisheries, and enhance fishing opportunities throughout the State. Some of these changes have occurred due to simplification and reformatting of the entire fishing law book. All of the proposals may be discussed at any of the 5 public hearings listed below. View 2017 Fishing Regulation Proposals (PDF) or obtain a list of the proposals from the Agency Contact Person. Anyone unable to attend a public hearing may submit written comments on any of the proposals. The proposals, if adopted, will become effective January 1, 2017. The Department is also proposing modifications and additions of waters to the State Heritage Fish waters list. Financial Impact on Municipalities or Counties (if any): No fiscal impact anticipated. Opening day of the Spring Gobbler season found a way to sneak up on me this year. Usually, I’m well planned and have my spots scouted and prepared. My gear is sorted through, replacing deer hunting equipment with turkey tools. My slate call is well roughed up and some practice calling has already taken place. This year though, none of that happened. To my surprise however, my procrastination set me up for a day that was a prime example of why Maine is truly the sportsman’s paradise. Effective tomorrow, Thursday, March 17, the 2016 Open Water fishing season will begin, two weeks earlier than usual, per an amended rule by the Commissioner of the Department of Inland Fisheries and Wildlife. The amended regulation allows bodies of water that were closed to open water fishing until April 1, 2016 to become open to open water fishing effective March 17, 2016. Anglers throughout the state may now get a chance to enjoy the early spring by fishing on their favorite waterway earlier than usual. Many lakes in southern and even central Maine are completely ice free. The lower than average snowfall also means that rivers and streams are at low springtime flow levels, making for easier fishing. Anglers are likely to find more fish available in waters that were stocked last fall. Poor ice conditions meant less time for ice fishing, leaving many trout and salmon that normally would have been caught in the winter still there for spring anglers. The early open water fishing season does not apply to waters with special season opening dates starting after April 1, 2016. This rule does not close any body of water currently open to ice fishing or open any water to ice fishing that is currently closed to ice fishing. In addition, all waters with S-10 and “CO” designations will also be open to fishing. All other S-codes, tackle restrictions, daily bag, possession and length limits still apply as listed. 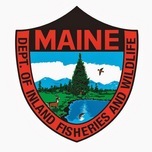 If you are fishing from a boat, the Maine Warden Service is urging boaters to wear their lifejackets. Prolonged immersion in cold water can kill, and wearing a life jacket can greatly increase your survival chances if you are in the water unexpectedly. The beginning of the open water season also means that the department stocking trucks will be busy. The department of Inland Fisheries and Wildlife begins an ambitious stocking program in mid-April and by the time ice starts to cover lakes in the fall, over 1.2 million fish will have been stocked in waterways across the state. Please be sure to check the 2016 fishing law book for regulations specific to the water you wish to fish. Togue and other bottom-dwelling fish often have expanded swim bladders after being pulled up rapidly from deep water. This is known as barotrauma, usually when they are caught from water deeper than 30 feet. Barotrauma is caused by the rapid expansion of gases in the swim bladder and other tissues as fish are retrieved to the surface. When fishing near or on the bottom, try to bring your fish to the surface slowly to allow it time to expel gases built-up from water pressure changes. If a fish has a normal-sized swim bladder while it is swimming 60 feet below the surface, its swim bladder could double, even triple, as a fisherman gives it a quick trip to the surface. A ballooning swim bladder is a non-issue if the fish will be kept. If it’s a catch-and-release kind of fish, however, its life is in jeopardy. With the equivalent of a beach ball in its gut the fish can’t swim back down. Balloon-like tissue protruding from the mouth or other areas of the body (sometimes). Sometimes lake trout can be gently squeezed to help force gas out of the swim bladder. Gently press your thumb along the stomach near the paired belly fins and move it forward a few times to remove air from the bladder. Fish suffering from barotrauma can survive if released properly and within two minutes of surfacing.